For those interested in maximum privacy, we've added Secret Chats, featuring end-to-end encryption to ensure that a message can only be read by its intended recipient. When it comes to Secret Chats, nothing is logged on our servers and you can automatically program thEnter your state heree messages to self-destruct from both devices so there is never any record of it. We hope everybody had a great celebration. We at Telegram certainly did. One of our engineers got so excited about the new year that he mistakenly shared awful stickers with his Mom. To fix this, he quickly added a way to unsend recently sent messages. This smart move saved his morning, and it can still save yours! If you use Telegram v.3.16 or later, you can now unsend any weird messages you shared within the last 48 hours. The holiday season is in high swing in many parts of the world, so we figured some of you folks are busy traveling. If that's the case, you may want to check out the new Network Usage section that shows exactly how much data you consumed while in roaming or wi-fi or whatever. Don't forget to hop on the hotel wifi before any serious Telegramming in foreign lands. And remember that you can toggle automatic media download in Telegram Settings. Starting today, you can use t.me instead of telegram.me. Take a napkin, write t.me/username in no time, and give it to someone before they can get away. What do these emoji mean? When are you supposed to use them? Is the singular form of ‘emoji’ in fact ‘emojus’? To answer all these questions with utmost accuracy, we've also added support for the question emoji. 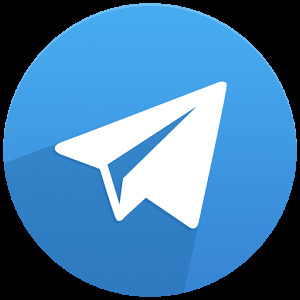 Telegram for Android has now reached version 5.0 and received a major overhaul in the design department. It is now much easier to access shared media from the profiles of users, groups and channels. Introducing Multiple Accounts on Android and Themes on iOS in Version 4.7.